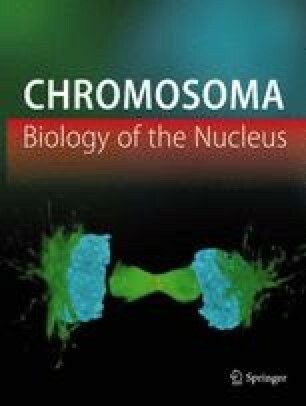 A human-mouse hybrid segregant HM76Dd40-6 with new characteristics was derived from the hybrid cell line HM76Dd containing human chromosome 19 as the only human chromosome. Three virus sensitivities located on human chromosome 19 (PVS, E11S and RDRC) were lost in HM76Dd40-6, while six other genes (C3, LDLR, EF2, GPI, PEPD and MANB) were retained. Cytogenetic analysis and in situ hybridization using human or mouse repeated sequences as probes showed that the region q13.1-qter of human chromosome 19 had been replaced by a fragment of mouse chromosome. Our results permit further regional assignment for the following five genes on human chromosome 19: GPI in the region cen-q12, MANB in p13.2-q12, E11S and RDRC in q13.1-qter, and EF2 in pter-q12.